In late October we sent a new group of coins to VSS for analysis and photography. We do not expect these back until early to mid November. We also included several coins currently under discussion on VAMworld to see if we have duplicated some VAM designations. Simplification and accuracy are always objectives, so this analysis will help. We have also included another twenty coins to be included in a new bulk submission. We seem to be finding an unusual number of VAMs that can be certified by PCGS and it seems like it just speeds things along if we send them in directly rather than waiting on a bulk submission. Hopefully these will be back this month so they can move along to VSS. We also have a group of VAM 5 and VAM 1D coins ready to send since PCGS will certify these. If you are looking for something serious to read and not a casual book on gold, then this might be the ticket. Gold: The Race for the World's Most Seductive Metal is a serious study of how important gold has been viewed in the history of man. It also delves into the ugly side of where gold comes from, who is seriously amassing reserves, and other current topics. Of particular interest to us was a discussion of why gold did not behave normally during the last recession. A very helpful discussion, but not light reading. Well we are now on to the Reverse Dies and fortunately there are fewer of them and we thought the discussion might take a little less time. But the identification of reverse dies for the series seems to be in a greater state of flux, so it is likely to take longer. ​ As we did with the obverse dies we will start with dies where there is a one to one relationship with the obverse and reverse die. This is a little less difficult and leads into the discussion on a more straightforward basis. ​ But our ultimate objective is to present our inventory with obverse and reverse dies in tandem and that will take some work. We plan to do these as we study the reverse dies, so please be patient with us. This month we asked Mitch Hill (Mhomei on VAMworld), if he would contribute an article. His knowledge of VAMs and specifically the 1881-O keeps us on our toes. He has been instrumental in building several features for the 1881-O section on VAMworld, including the page dedicated to LFCP's (Large Full Coin Photos). In my opinion the LFCP's are just as important as LVA plate Photos. They give the Internet buyer the full scope of the coin and in many cases isolates a die state of a particular pairing that certain buyers are interested in. 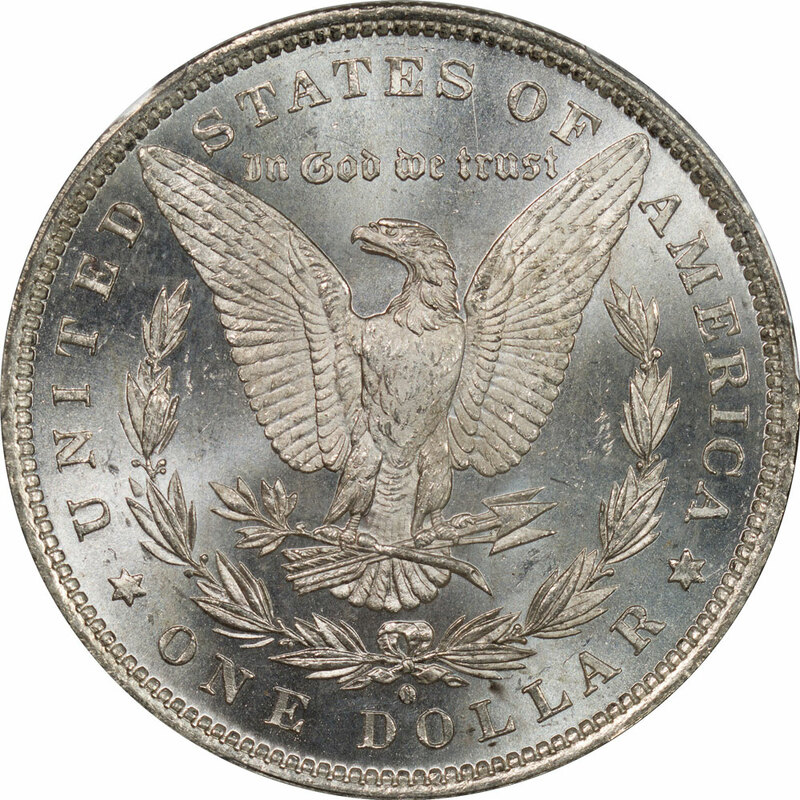 Early die states are the most difficult, so date position and mint mark are the keys to the LVA die classes from 1884 -1904. BUT, on the flip side from 1878 -1883 the quality of the LFCP's is where we separate the men from the boys. Ron Hagler has spent many of hours populating our site (VAMworld) with high quality photos and his contribution in this area may never be matched in my opinion. The 1881-O series has been brought to the front of the class along with 78-P, 78-S, 78-CC, 83-P, 85-P, 99-P, 02-O, 04-O, all of which are actively studied and pages populated with high quality photos. You can see the VAMworld page here documenting all of the LFCP's for the 1881-O series. Many of the coins were professionally photographed by VSS (Variety Slabbing Service). And then there was the totally unrelated, but important, news that arrived on October 31 when the BCS committee met and voted the Georgia Bulldogs as the top team in the running for the final four. As a lifelong Dawg this is a big deal, and the first time since the early 1980s. Next up is South Carolina in Athens on Saturday and we plan to be there. The Reverse Die a part of this study is a little different and closely parallels the Die 1 obverse discussion. Since the die is somewhat generic, and at the same time contains similarities when grouped to create a VAM we had to do a new page. 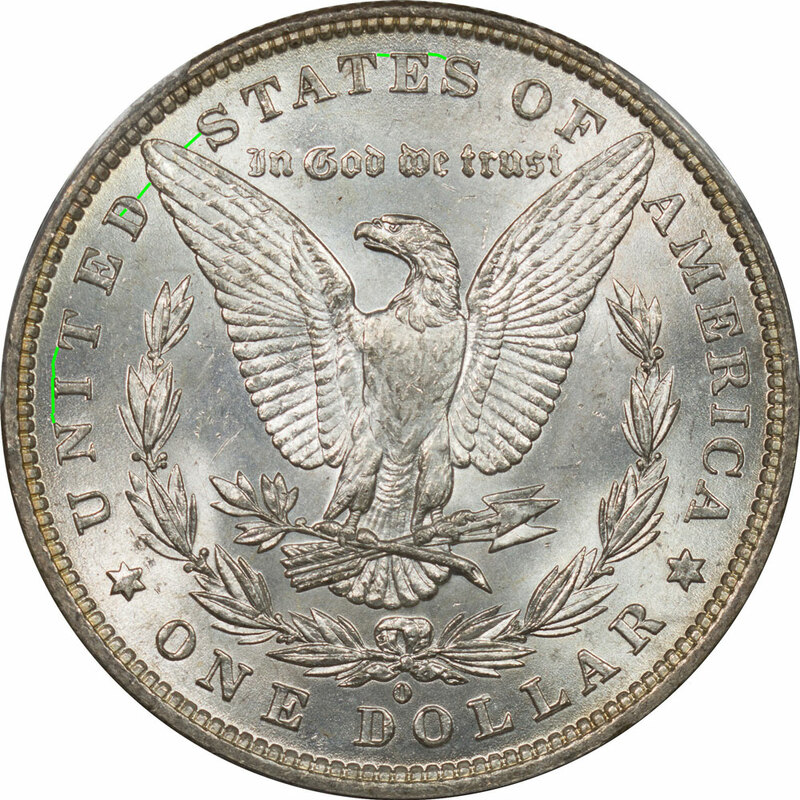 The die is examined by the obverse die designation. Reverse Die c has only one pairing and that is with Obverse Die 3. This combination produces VAM 5 - O/O Right, Doubled 1. 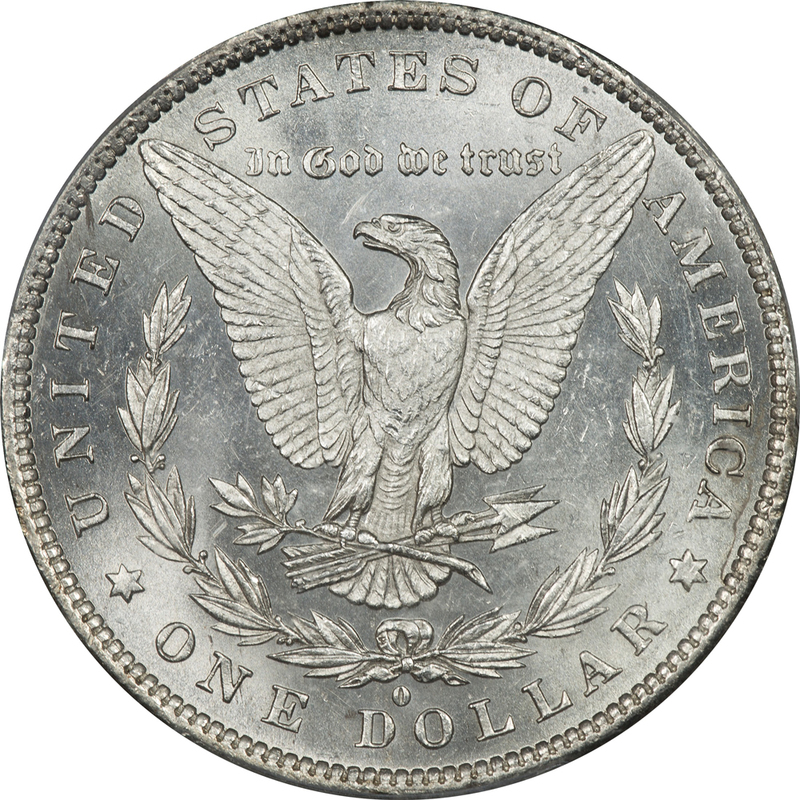 This is a Hit List 40 VAM and one of the most sought after in the 1881-O series. Because of the popularity of the VAM and our desire to study it in various states and grades we have a large number, twenty-six, of them ranging in grade from AU 50 to MS 64 DMPL. None of our examples of VAM 5 show any reverse die cracks or breaks. Reverse Die f is easily recognized and only appears with a variation of Obverse Die 1 to form VAM 8 - O Tilted Right. This is a common VAM and we have twenty examples for study ranging from Good 4 to MS 64 DMPL. 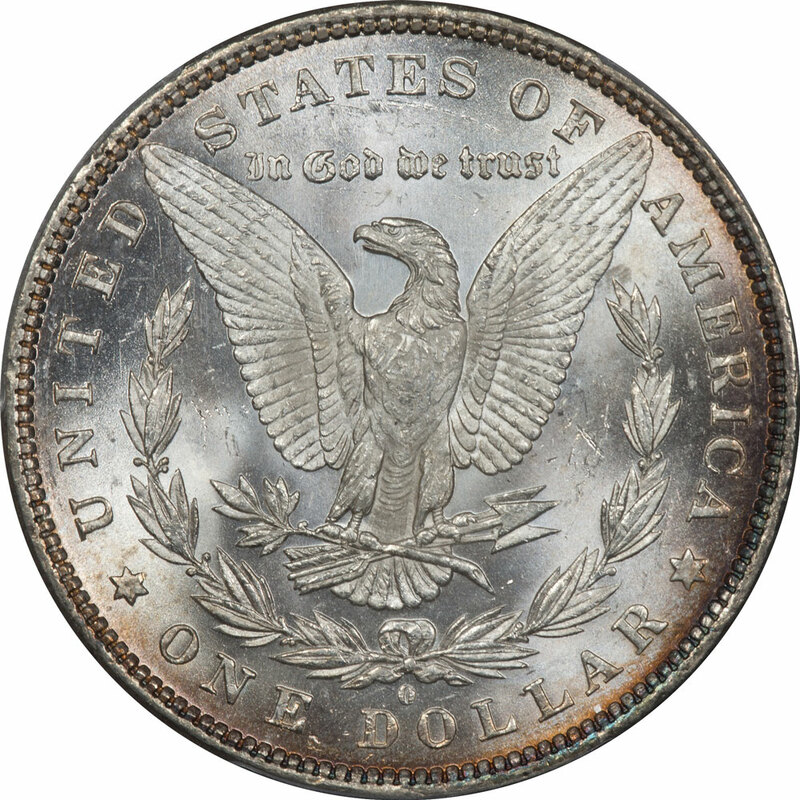 However, none of the MS or AU coins show any signs of die cracks and below those grades cracks can wear away. There are obviously many pairings for Obverse Die 1. Reverse Die i appears on two VAMs, 11 and 69. VAM 11 is paired with Obverse Die 1, and VAM 69 is paired with Obverse Die I46. As of October 2017 we have ten examples of VAM 11 - Spike in 8, O/O Left, but only two examples of VAM 69 - Doubled Profile, Cap, and Left 8, O/O Left. The VAMs are differentiated by the obverse pairing and not significant reverse differences. 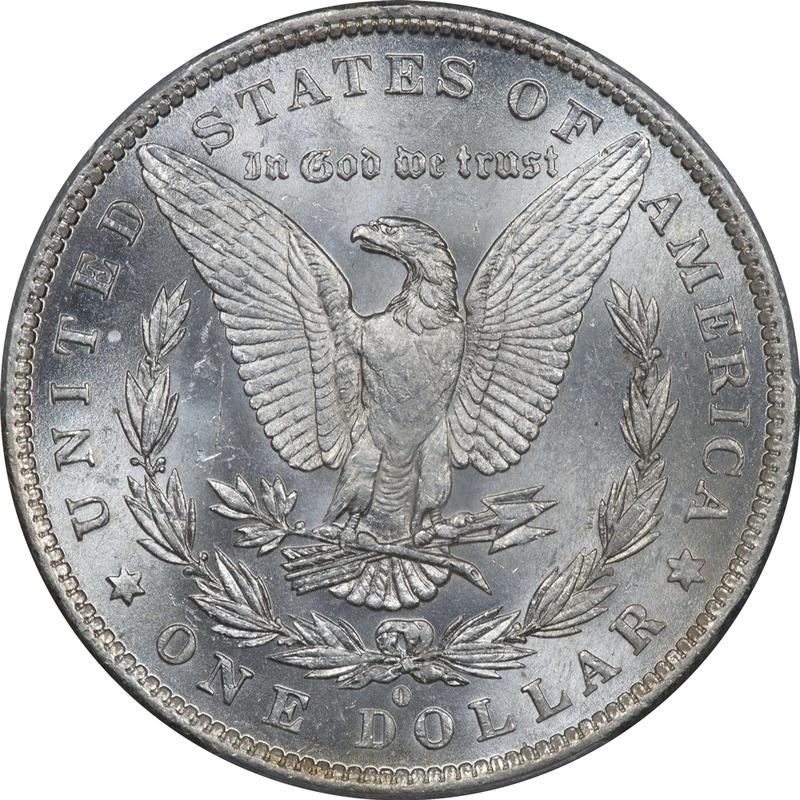 Our ten examples of VAM 11 include six coins that are mint state, so there is adequate inventory for analysis. None of these coins show evidence of any die cracks or breaks. We have only two examples of VAM 69, and both are mint state. Neither coin shows any sign of cracks or breaks on the reverse. Reverse Die j has only one pairing and that is with Obverse Die 1. This combination produces VAM 12 - O/O Lower Right. None of our examples show any signs of die cracks or breaks. Reverse Die k has only one pairing and that is with Obverse Die 4. This combination produces VAM 13 - Doubled 8, O/O High. 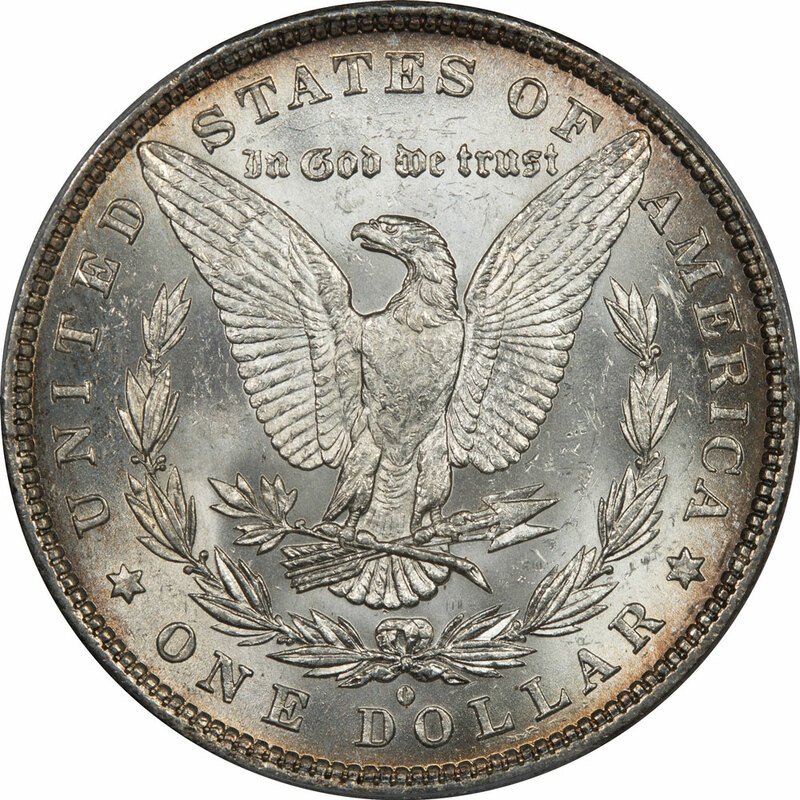 Not all of our coins show cracks, but several show light cracks beginning to develop at about nine o'clock and progressing up to twelve o'clock. Reverse Die m has only one pairing and that is with Obverse Die 1. This combination produces VAM 25 - O/O Right. We have thirteen examples ranging from AU 50 to MS64+, so a wide range to examine. None of the examples in our inventory show any signs of die cracks or breaks. Reverse Die q has only one pairing and that is with Obverse Die 1. This combination produces VAM 44 - Doubled Reverse Legend & Wreaths, Vertical Die Scratch in Front of Eye. We have only four examples ranging from AU 58 to MS63, so a narrow range to examine. Reverse Die s has only one pairing and that is with Obverse Die 40. This combination produces VAM 62 - Doubled Date, Ear Bottom, and Upper Reverse. We have ten examples ranging from MS 61 to MS64, so a nice group of MS coins to examine.